Queiroz named Colombia coach with Copa America, World Cup on agenda - SABC News - Breaking news, special reports, world, business, sport coverage of all South African current events. Africa's news leader. 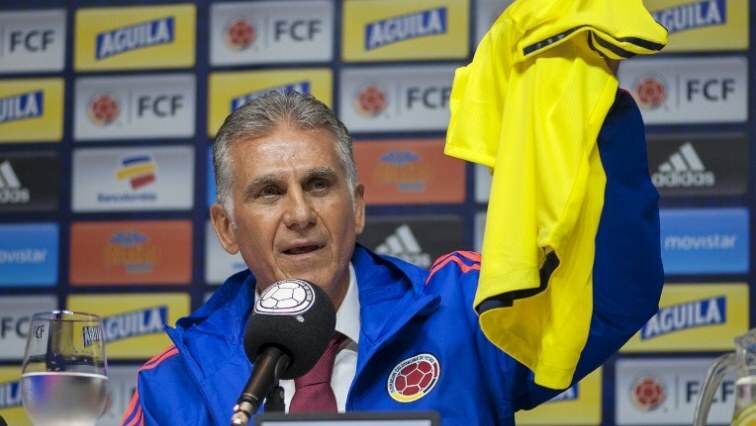 Colombia's national football team new head coach, Portuguese Carlos Queiroz, holds up a Colombian jersey. Carlos Queiroz was named coach of Colombia on Thursday, the country’s football federation (FCF) said, replacing Argentine Jose Pekerman who left the post in September. Queiroz’s appointment had long been expected but Colombia had to wait until the end of the recently-concluded Asian Cup for the Portuguese’s contract with Iran to run out. He said his aim would be to “look after the proud history and the reputation Colombia has today in the world”. “He’s a European coach. Most of the national team players play in Europe, his methods could be very similar to those the players have at their clubs, and that’s very important,” said Blu Radio analyst Pablo Rios. This entry was posted on 07 Feb 2019,08:49PM at 8:49 PM and is filed under Sport, Homepage Latest Stories Slider. You can follow any responses to this entry through the RSS 2.0 feed. Both comments and pings are currently closed.